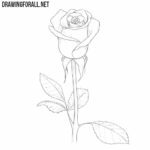 In the entire history of our site, we have created a lot of different drawing lessons, but the most popular topic is of course the lessons about roses. 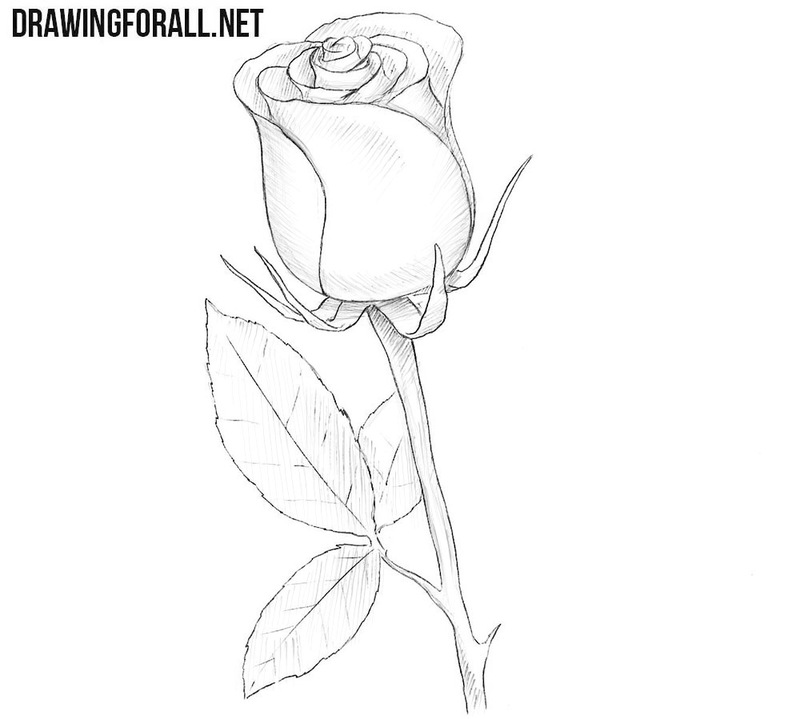 Although we created a lot of drawing lessons about roses, our readers want more. 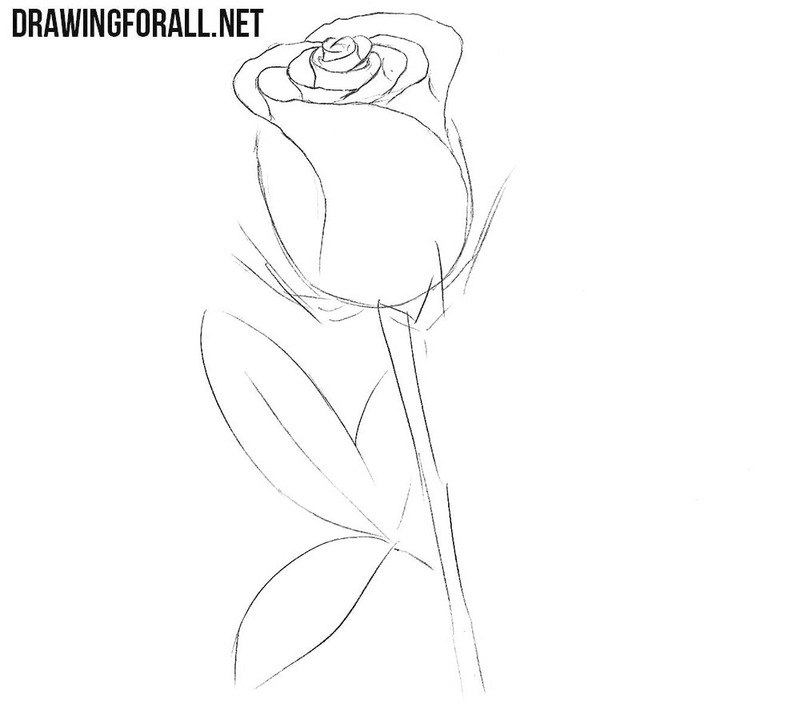 And that’s why in this very drawing lesson we want to show you how to draw a rose easy. First of all, let’s sketch out a simple oval for a bud and a simple line for a stem of the rose. 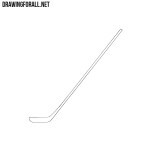 This step will will be very simple, here we will only need to outline a couple of simple lines in the upper part of the bud. 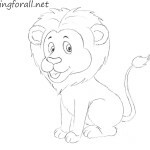 Add a few more simple curved lines that seem to “embrace” the lines from the previous step. 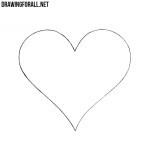 We continue to draw curved lines that diverge from the center at the edges of the bud. Now we draw the outlines of the outer petals, which descend to the lower edge of the bud. Now sketch out the outlines of the leaves (sepals), which are located directly below the bud. 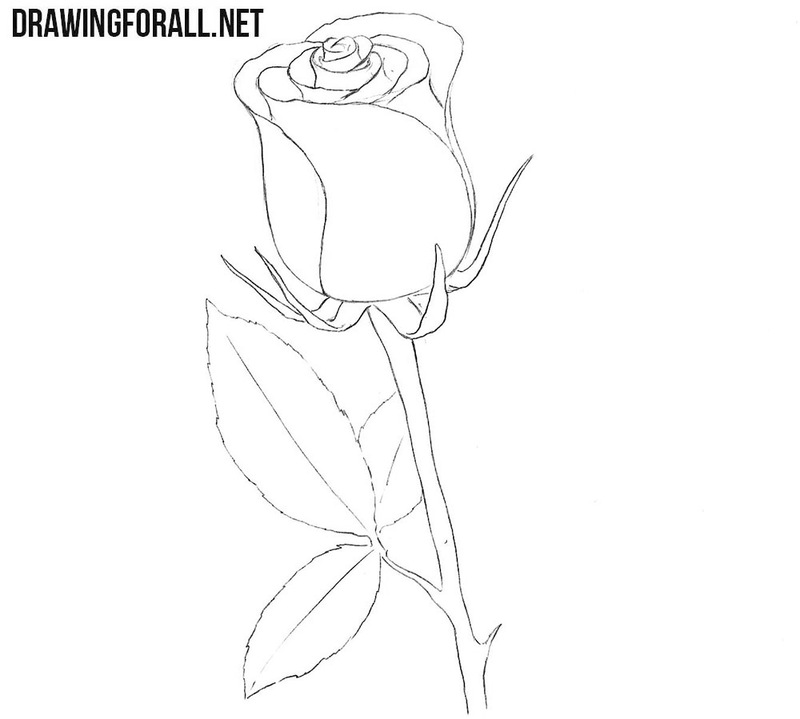 Now thicken the stem of a rose and sketch out the outlines of the petals, as in the example below. 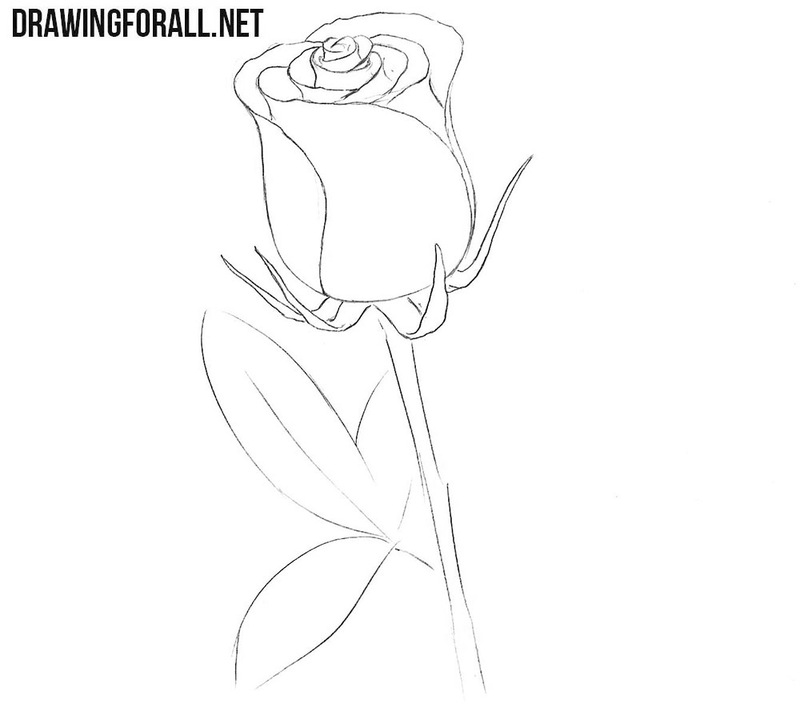 Using clear and dark lines, carefully draw out the outlines of the bud and sepals. Draw out the outlines of the stem of the rose. 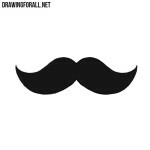 Move lower and circle the leaves with uneven lines. 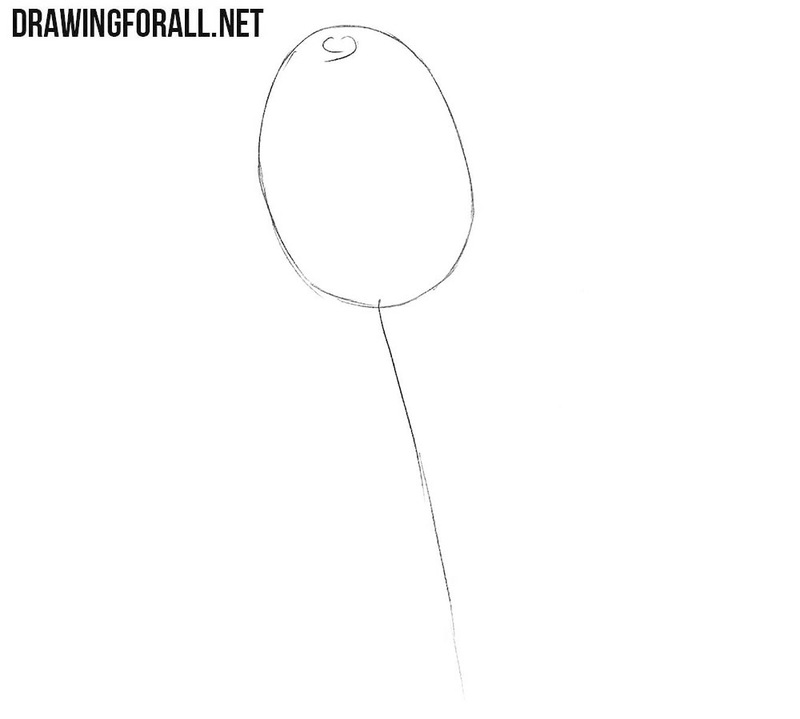 A very simple step in which we just need to draw some veins on the leaves. 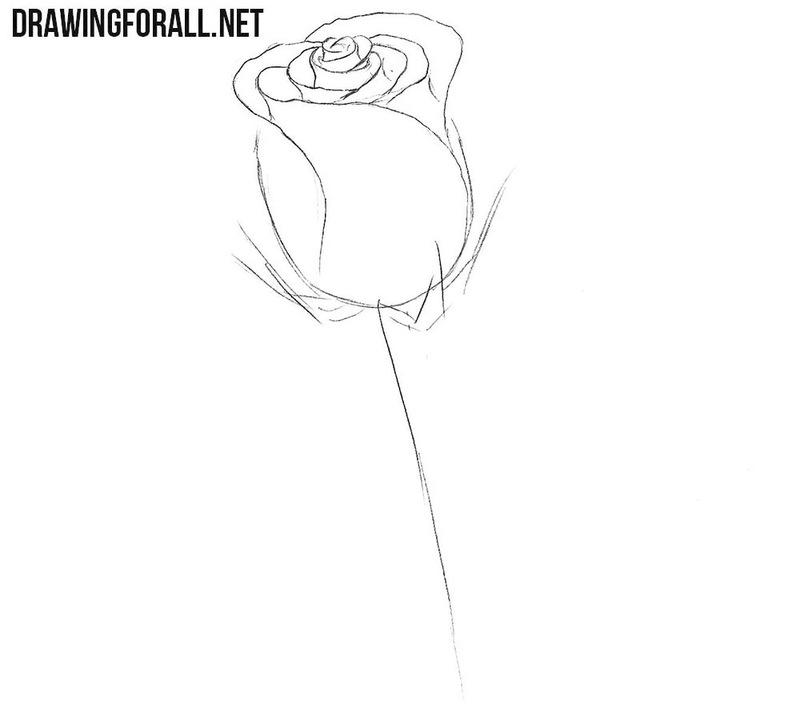 And now, to make our drawing more voluminous, we simply add some shadows to the rose. We hope that our lesson about how to draw a rose easy was really simple, and now you can draw a rose no worse than our artists. 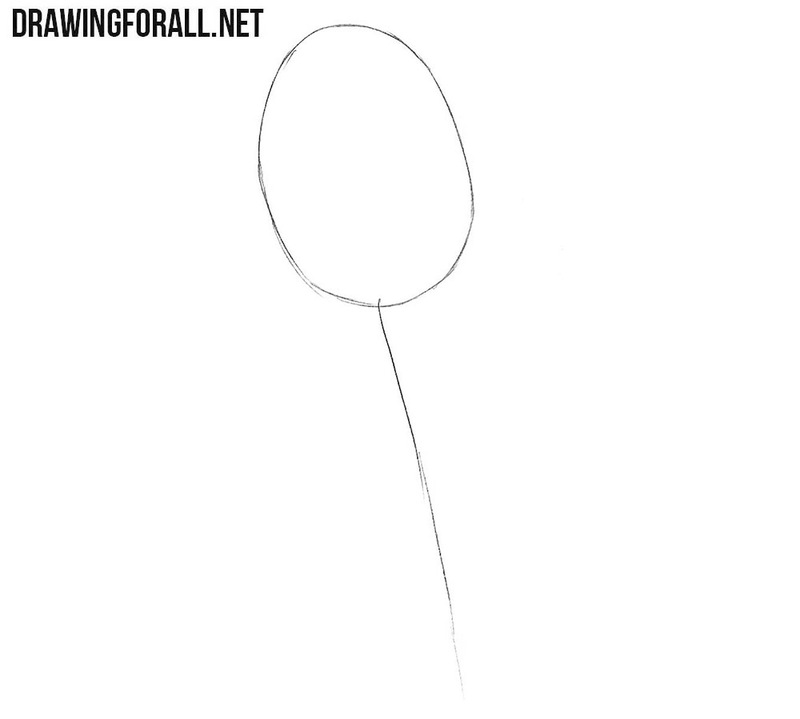 If you are faced with any difficulties in the process of drawing, be sure to write us about it in the comments to this tutorial.